Eleven-year-old Anna Adyero, a student at Magwi Central Primary School in South Sudan, likes coming to school. But until recently, she struggled to learn. Not because she lacked a teacher, though teachers are scarce in the world’s newest country. But because she lacked what many assume is standard operating equipment — a desk. Before the USAID-funded Room to Learn (RtL) project, the 1,000 enrolled students of Maqwi Central Primary School would often sit on the ground or, if they were lucky, on a pile of rocks or an old tin can (if they could find these and bring them to school). Many children injure themselves on the unstable stacks of sharp rocks and stones. Inappropriate seating has a negative impact on learning and teaching. It affects students’ health, hygiene and cognition. Poor posture can hamper blood supply to the brain and impede attention. “It takes less than an hour for the children to become uncomfortable and tired in the classroom. If the children have a good place to work, the learning will improve,” says Onex James Peter, a head teacher at the school. Now, for the first time, they do. 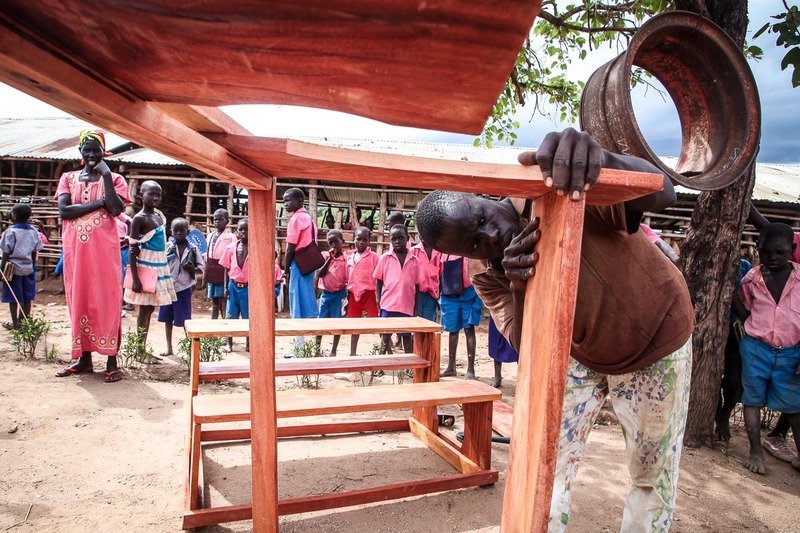 RtL, implemented by Winrock International, is building and distributing approximately 8,000 desk and chair sets to 66 primary-level schools across 11 counties of South Sudan, providing seating for up to 30,000 children. The idea is to help schools create effective learning environments, ones that promote discussion, interaction and attentiveness. 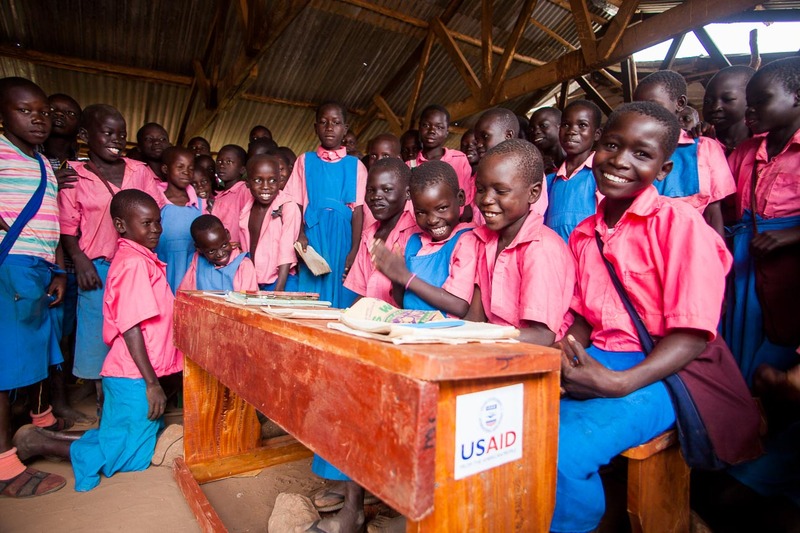 The desk and chair sets are designed in collaboration with South Sudan’s Ministry of Education, Science and Technology, and are being produced in two different sizes for the different age groups within the target schools. Crafted by local carpenters, the desks are also helping to support local businesses.